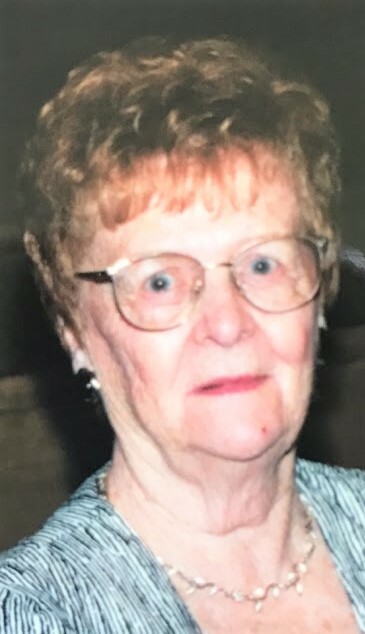 Funeral services were held privately on Thursday August 23rd in the Vertuccio and Smith, Home for Funerals, 773 Broadway (Route 107) Revere for Rose Mary (Barrett) Feeney who died on Sunday, August 19th at East Pointe Rehabilitation Center in Chelsea. She was 91 years old. Interment was in Puritan Lawn Memorial Park, Peabody. Rose Mary was a lifelong Revere Resident. She was a dedicated mother and had an incredible work ethic to support her family. As a young girl, she worked in Lynn as a shoe worker. She later began to work in the food service industry at Sky Chef. She also held a position in the Revere School System and later at the Chelsea Soldiers Home as a Dietary Aide. Her strong will allowed her to continue on to work, at Toys R Us, at Northgate as a greeter. She was fiercely independent and lived a life that demonstrated how perseverance, determination, and being strong willed always overcame any obstacles that sometimes life puts in your path. Her family was always her top priority and she loved spending time with them. She is the wife of the late Thomas Feeney. Cherished mother of John L. Barrett & wife Carol of Revere, Rose Marie Maguire & husband Wayne of South Portland, ME & the late Sarah A. Feeney. Loving grandmother of Sharon Wastaferro & husband Ronald of Derry, NH, Cynthia Barrett of North Andover, Jennifer Barrett & Fiancé Charles Molinari of Lynnfield, Wayne Maguire & Ryan Maguire, both of Danvers, Kayla Feeney of East Bridgewater, Joseph O’Connell & Sophia O’Connell, both of Somerville. Adored great grandmother of Victoria Wastaferro of Derry, NH, Adrianna Barrett of North Andover & Mia Rose O’Connell of Somerville. Dear sister of the late James W. Barrett, Jr and Alma F. Hagman & her surviving husband Frederick W. Hagman of Peabody. She is also lovingly survived by many nieces, nephews, grandnieces & grandnephews.